Designed to support Atkins, Keto and other non-vegetarian low-carb diets. Zero-carb, sugar-free, iron-free. 20 extra-strong vitamins and minerals cover the full spectrum of essential nutrients, fill potential gaps and support your diet. Special ingredients like green tea extract and chromium help to make your weight loss easier. All ingredients have a solid track record and scientifically-proven benefits, with dosages optimised for low-carb diets. When you go low-carb, you miss out on vitamins from fruit and grains. You can get the nutrients you need from low-carb foods. But covering all bases is hard – especially on ketogenic diets. Lack of essential nutrients can derail your diet, no matter how hard you work. A targeted multivitamin supplement is the simplest solution. Nutri-Align Multivit includes 20 ingredients with extra-strong dosages of vitamins B, C, D and E. It bridges all potential gaps for your peace of mind and long-term health. Unlike generic products, it is calibrated to complement the nutritional profile of low-carb diets. Nutri-Align Multivit is suitable for Atkins, Keto, Dukan, Banting, South Beach and other non-vegetarian low-carb diets. Dr Atkins’ research on low-carb nutrition was our starting point for developing this formulation. (Read about his findings in books Dr Atkins Vita-Nutrient Solution: Nature’s Answer to Drugs and Dr Atkins New Diet Revolution). We complemented his research with the latest scientific studies when developing our formulation. 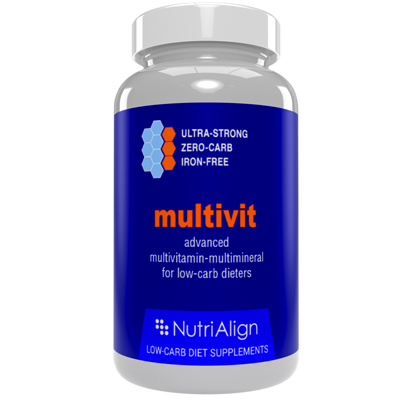 Many Atkins dieters take Nutri-Align Mulvitvit instead of Atkins Basic 3 multivitamin which has been discontinued. Unlike many generic supplements, Nutri-Align Multivit is sugar-free. It does not affect your daily carb count. It is also iron-free. Low-carb dieters get plenty of iron from red meat and green leafy vegetables. Generic multivitamins usually include iron, but too much iron can be harmful. Dr Atkins recommended avoiding iron supplementation if you are on a low-carb diet – unless you are also a vegetarian, in which case you would need the extra iron. Dosages listed below are provided as guidelines. Ideally, you should consult your GP or a registered dietitian to get advice on optimum supplementation for your individual needs and lifestyle. Do not exceed stated dose. Take three capsules a day – one with every meal. 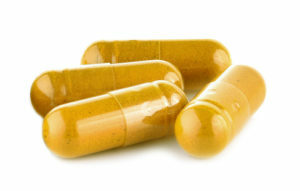 Also consider supplementing fibre, omega oils and co-enzyme Q10. Nutri-Align supplements are manufactured in the UK in full compliance with EU regulations and GMP standards. GMP (Good Manufacturing Practice) is a strict global system that’s compulsory for medicines but voluntary for dietary supplements. GMP ensures that raw ingredients are authentic, production facilities are immaculately clean and strict hygiene rules are enforced. So you can rest assured your supplements are 100% genuine, pure and safe. * Official government guidelines for recommended daily intake of vitamins and minerals varies by country. European Union have a unified legislation in this regard. 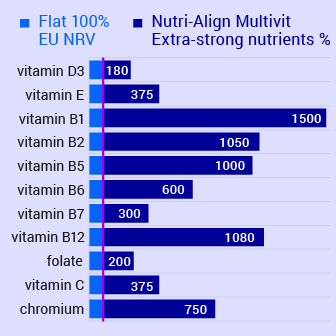 The table above shows percentage values according to the recommended amounts in the European Union and in the US. Major GC1, Doucet E, Jacqmain M, St-Onge M, Bouchard C, Tremblay A. Br J Nutr. 2008 May;99(5):1157-67. Epub 2007 Nov 1. Li Y1, Wang C, Zhu K, Feng RN, Sun CH. Int J Obes (Lond). 2010 Jun;34(6):1070-7. doi: 10.1038/ijo.2010.14. Epub 2010 Feb 9. Huskisson E1, Maggini S, Ruf M. J Int Med Res. 2007 May-Jun;35(3):277-89. Pipingas A1, Camfield DA, Stough C, Cox KH, Fogg E, Tiplady B, Sarris J, White DJ, Sali A, Wetherell MA, Scholey AB. Appetite. 2013 Oct;69:123-36. doi: 10.1016/j.appet.2013.05.016. Epub 2013 May 30. Sarris J1, Cox KH, Camfield DA, Scholey A, Stough C, Fogg E, Kras M, White DJ, Sali A, Pipingas A. Nutr J. 2012 Dec 14;11:110. doi: 10.1186/1475-2891-11-110. Lukaski HC1. Nutrition. 2004 Jul-Aug;20(7-8):632-44. Depeint F1, Bruce WR, Shangari N, Mehta R, O’Brien PJ. Chem Biol Interact. 2006 Oct 27;163(1-2):94-112. Epub 2006 May 1. Heap LC1, Peters TJ, Wessely S. J R Soc Med. 1999 Apr;92(4):183-5. Suksomboon N1, Poolsup N, Yuwanakorn A. J Clin Pharm Ther. 2014 Jun;39(3):292-306. doi: 10.1111/jcpt.12147. Epub 2014 Mar 17. Latzka WA1, Montain SJ. Clin Sports Med. 1999 Jul;18(3):513-24.